Well over a quarter of a million dollars is on offer. This represents the best “R&R” opportunity in the Harbour City ever held. Between December 26 and January 11 the lights will come on at the iconic clayway on six different occasions with an absolute smorgasbord of Ultimate Sprintcar, Speedcar and Late Model competition. And the prize-money on offer is set to raise the eyebrows of racers in three continents – Australia, New Zealand and the USA! Close to $300,000 in prize and points fund money is up for grabs. The combination of the cash incentive and the frequency of racing in the seventeen days are expected to draw in a spectacular range of interstate and international competitors. Six nights of Sprintcars will see $10,000 to win the A-Main each night. Three nights of Late Models will offer $3,000 to win the A-Main each night. Three rounds of Speedcars will see $3,000 to win the A-Main each night. 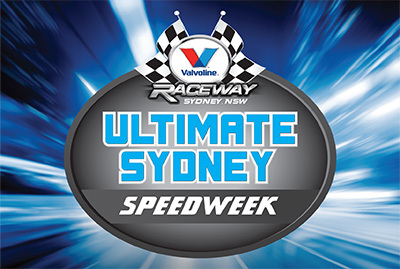 An impressive Ultimate Sydney Speedweek series points fund for Ultimate Sprintcars, Speedcars and Late Models will also be included with the details on those payouts to be announced shortly. $294,500 in prize-money, prizes and point fund monies makes this one of the most lucrative phases of Speedway in Australian history. The Christmas-New Year period in Sydney offers tourists and race teams a plethora of activities to do above and beyond the racing at VR also with day trips to The Blue Mountains, the Sydney Harbour Bridge, Wet ‘n’ Wild, Bondi Beach, Darling Harbour, the Bathurst National Motor Museum, north to the Central Coast and Hunter Valley for wine tours, south to Wollongong and so much more. New Year’s Eve can be spent on the Harbour watching the annual fireworks spectacular. Staying at the wonderful Holiday Inn Parramatta fans and teams can be conveniently located close to Valvoline Raceway and right on the doorstep of the Parramatta CBD with literally hundreds of restaurants and the enormous Westfield Shopping Centre Parramatta a short walking distance away.